I'm so excited, we got our first egg! I just set up the nest boxes over the weekend, I had them blocked off cause all they would do is poop in it. I put curtains in front to make them a little darker. I used Batman fabric of course. 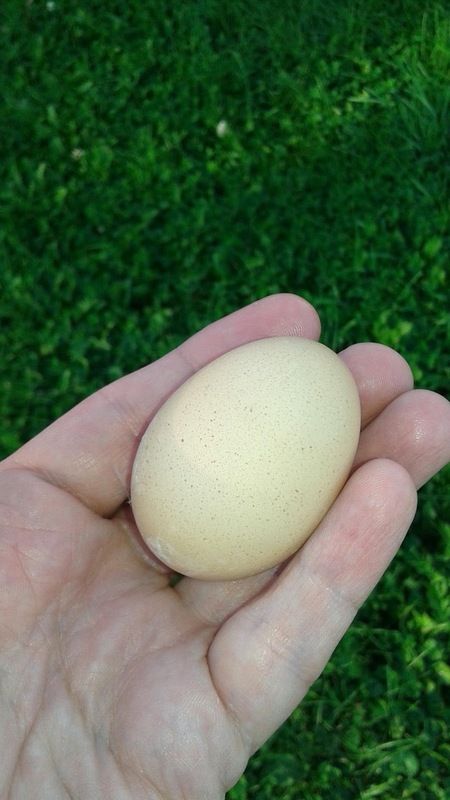 When I got home from work I let them out to free range and thought I'd just look to see if the was an egg. You could tell someone had scratched around in them but no egg. Then as I was closing the nest box door I glanced in the coop window and there was an egg laying on the floor of the coop! It was a brown egg so it was from either Laverne or Lucille. I'm going to blow it out and keep the empty shell.